10 years ago, you may not have even been able to find a company in Grand Rapids that installed outdoor holiday lighting. Now, a simple google search may yield several results for professional holiday lighting companies who provide that service! 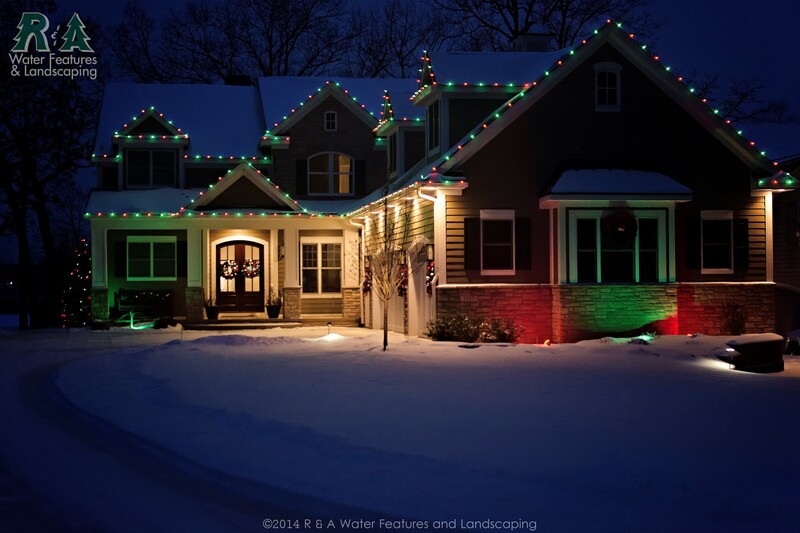 Many of our clients start with a similar concern; “How do I know which installation service is right for me?” Here are just 3 simple ways to choose a professional holiday lighting installer best suited to your needs. Do I rent my lights, or do I own them? This is going to be a big factor in your decision. Consider this- If you’re only doing the display for a party or maybe you just want to decorate for one season, then using a company that provides the “service-only” model probably makes more sense for you to use. Much like catering a party, the service provider will supply the lights, put them up, take them down, and that’s that. It is on a per basis, and you do not own the materials. Conversely, if you enjoy having holiday decorations up every year, or and it’s something you intend to do year-after-year, then hiring a company who sells the materials to you and charges for the installation/takedown accordingly will likely provide better value in the long-run. While there will likely be a higher first-year cost, a significant cost-savings may be realized during subsequent years while you’re only paying for installation. Do I need a professional holiday lighting installer? Make sure the company has appropriate experience and insurance to be on your roof. The last thing you need is an under-insured mow guy taking a bad fall! Second, consider what your expectations are. Are you looking for input on the design of the display? Are you expecting something unique and attractive? If you want a “professional” looking display with nice straight lights and a clean finished look, you could save yourself some serious headache by hiring a professional. Am I getting Incandescent or LED lights? And what might my increase in electricity consumption be due to the display? Will I be charged for service calls? What if a bulb burns out or some other type of malfunction occurs, will I be responsible for that? What type of warranty do the materials come with? We hope this information helps bring more joy to your holiday season, at your home or business!